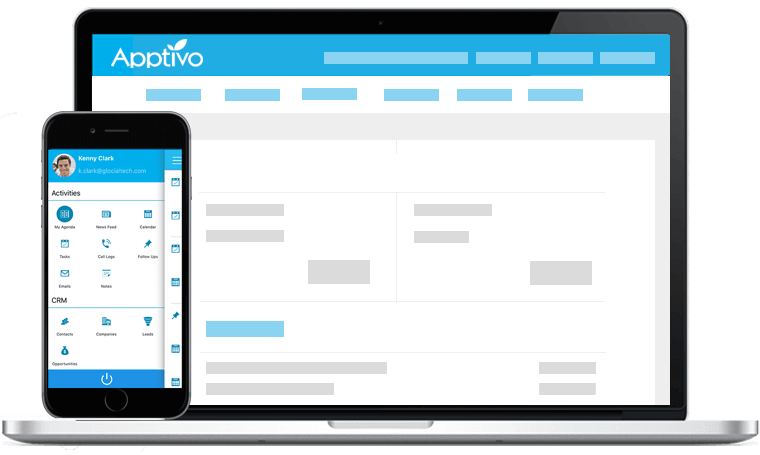 Easy software to check for your credits - Create a Credit, apply your credits needed for a purchase and make your Customers happy on each and every purchase they make using Apptivo Credit Notes. 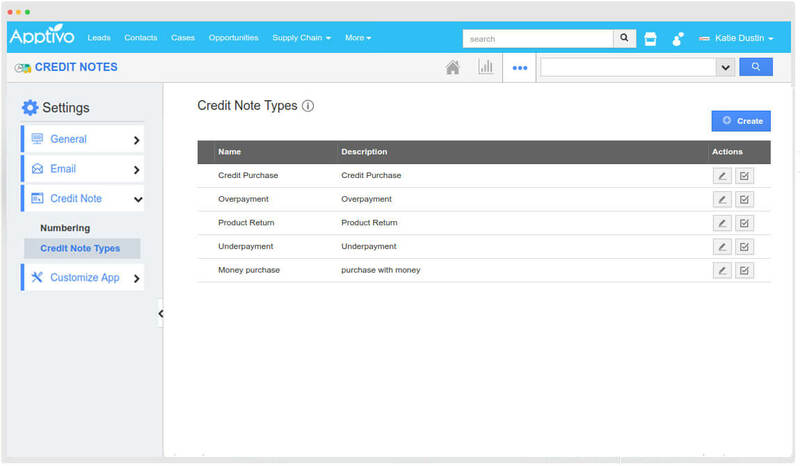 Categorise and segment your credit notes so you can determine the proper plan of action to address each credit notes based on your business necessity. 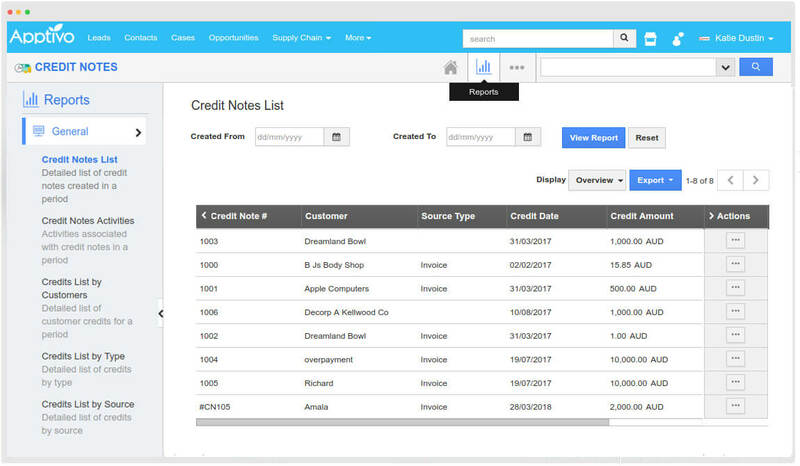 Get and export the summary of all your Credit Notes generated within a period & activities associated with a period and also by various objects. 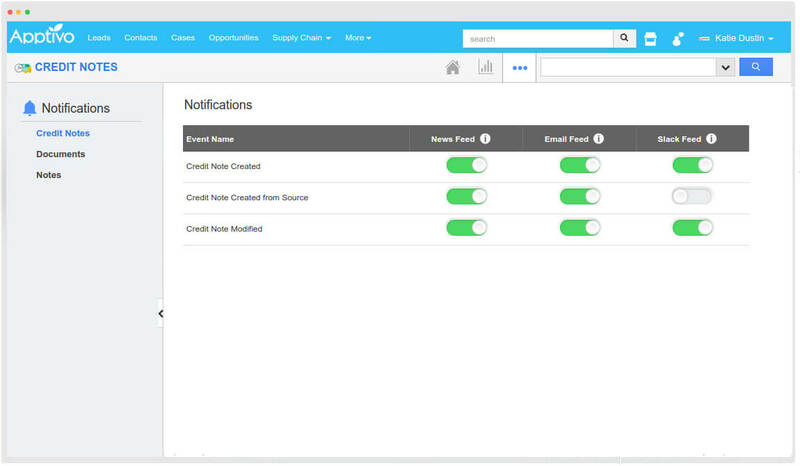 To have a clear note of what your Employees are doing, enable the Email and News feed notification which instantly provides you the alert of all events. 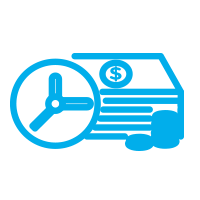 Initiate Credit note either for a Invoice/Sales Receipt or in general. 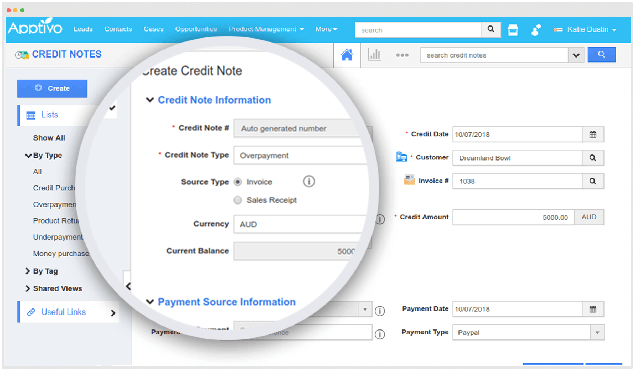 Provide your customer info and payment information and create your credit notes quick.